Have you signed up for the US Wellness Meats newsletter yet? You could win a $100 gift certificate to their online store. Click here! As I described in Wednesday's post, I'm working on eating nose-to-tail. 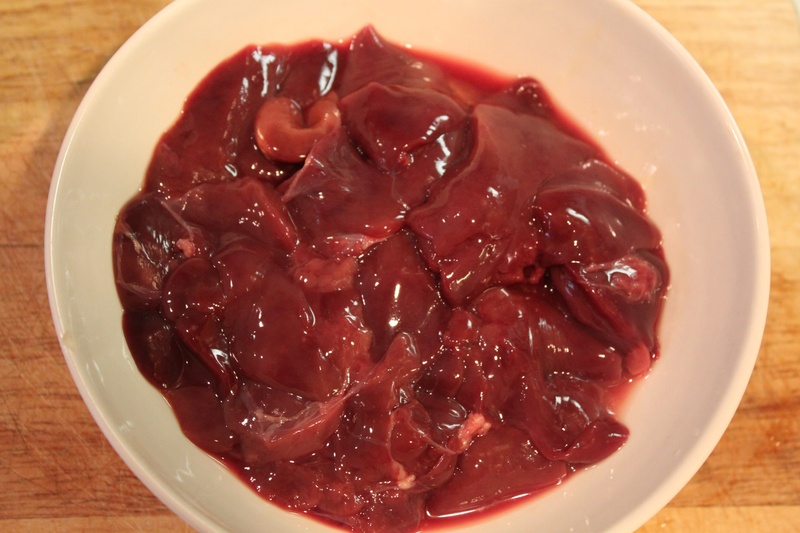 My offal (not awful) point-of-entry was pastured cow's liver. This was nearly a year ago, and at that point I balked at adding a Tablespoon of grated liver to 2 lbs. of ground beef. Oh, how I have grown (weirder). Though eating unconventional cuts may cause me an initial shudder, I also feel a bit of a thrill about it. I feel like a Rogue. A Maverick. An aggregate of Palin-isms the size of Alaska (or Russia, depending on whose backyard you're in) couldn't describe the Chuck Norris-esque charge I get when I'm prepping, say, beef tongue. I know. I'm a pervert. Diane of Balanced Bites has a photo on this blog post that shows the difference between conventional, “organic,” and true pastured liver. It needs to be red – that's the sign that the animal led a healthy life. The redder the better. I wanted to do something a little different, so I went with a baked pâté from Simply Recipes (a site with a fantastic low-carb section). This is almost like a meat loaf (although I'm sure the *Fraahnsh* would disagree.) You can replicate the recipe from the Simply Recipes page. Liver and CINNAMON? Yes please! Add a bottom and top layer of bacon to the deal and I'm totally sold. 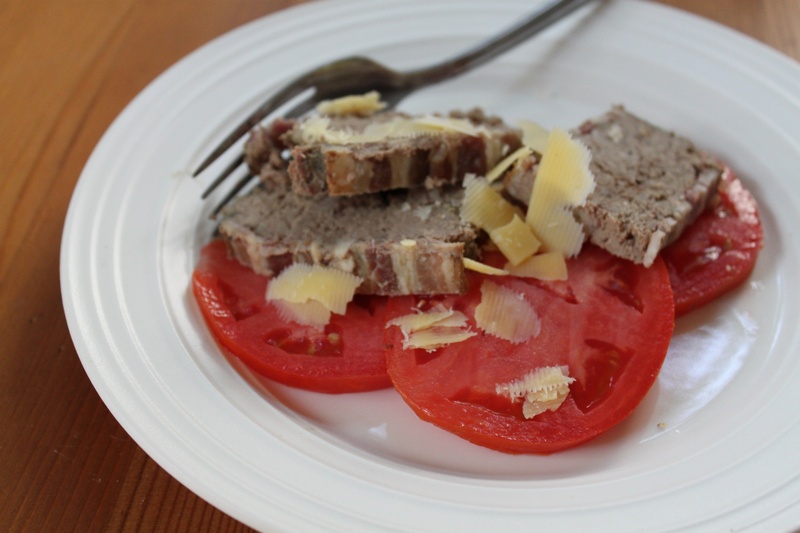 This recipe is easy, warm, and tasty; and the baked pâté goes well with a sliver of Herdsman raw milk cheese from the pastured cows at Cherry Grove Farm. Don't forget to enter to win a $100 gift certificate from US Wellness Meats! Contest runs through Sunday! Click here! « Cave Girl Eats: Rabbit! Oh Yes! I am looking for more liver recipes! Thanks for sharing! …and by that I meant the liver! I’m so not ready for offal, but I have to say I totally understand that thrill, when you’re smacking conventional wisdom in the face and doing something that’s new and awesome. I am cave woman, hear me roar! I got a little thrill from moving our living room furniture around by myself. With ease, I should add. Slanker farms sells a ground beef with various offal ground in…I feel like that might be a good place to start. With enough heat/spice I might not know it’s in there. Mark Sisson has a great pork, beef and liver trine recipe that I highly recommend for liver haters. It has enough pork and beef in it that you don’t notice the liver and of course, it’s wrapped in bacon.